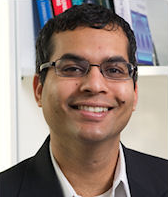 Ketan Savla is an assistant professor and John and Dorothy Shea Early Career Chair in Civil Engineering at the University of Southern California, with joint appointments in the Sonny Astani Department of Civil and Environmental Engineering, the Daniel J. Epstein Department of Industrial and Systems Engineering (courtesy), and the Ming Hsieh Department of Electrical Engineering-Systems (courtesy). Prior to that, he was a research scientist in the Laboratory for Information and Decision Systems at MIT. He obtained his Ph.D. in Electrical Engineering and M.A. Aaron D. Ames is an Associate Professor at the Georgia Institute of Technology in the George W. Woodruff School of Mechanical Engineering and the School of Electrical and Computer Engineering as of July 2015. Prior to joining Georgia Tech, he was an Associate Professor and Morris E. Foster Faculty Fellow II in Mechanical Engineering at Texas A&M University, with joint appointments in Electrical & Computer Engineering and Computer Science & Engineering. Dr. Ames received a BS in Mechanical Engineering and a BA in Mathematics from the University of St.
Hamsa Balakrishnan is an Associate Professor of Aeronautics and Astronautics at the Massachusetts Institute of Technology. Her research is in the design, analysis, and implementation of control and optimization algorithms for large-scale cyber-physical infrastructures, with an emphasis on air transportation systems. Her contributions include airport congestion control algorithms, air traffic routing and airspace resource allocation methods, machine learning for weather forecasts and flight delay prediction, and methods to mitigate environmental impacts. 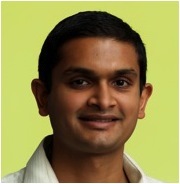 Vijay Gupta is with the Department of Electrical Engineering at the University of Notre Dame. He received his B. Tech degree from the Indian Institute of Technology, Delhi and the M.S. and Ph.D. degrees from the California Institute of Technology, all in Electrical Engineering. Prior to joining Notre Dame, he also served as a research associate in the Institute for Systems Research at the University of Maryland, College Park. He received the NSF CAREER award in 2009, and the Ruth and Joel Spira award for excellence in teaching in 2010. Jason Marden is an Assistant Professor in the Department of Electrical, Computer, and Energy Engineering at the University of Colorado. He received a B.S. degree in Mechanical Engineering in 2001 from UCLA, and a Ph.D. in Mechanical Engineering in 2007, also from UCLA, where he was awarded the Outstanding Graduating Ph.D.
Hana El-Samad is a faculty member in the department of Biochemistry and Biophysics at the University of California, San Francisco and the California Institute for Quantitative Biosciences (QB3), where she holds the Grace Boyer Junior Endowed Chair in Biophysics and is a 2010 Packard Fellow. Dr. El-Samad joined UCSF after obtaining a doctorate degree in Mechanical Engineering from the University of California, Santa Barbara, preceded by a Masters Degree in Electrical Engineering from the Iowa State University. Dr.